For this week's challenge, participants are asked to create SINGLE LAYER cards. Yes, that's right... only ONE layer of cardstock, nothing more. But that's not all. Participants are supposed to use buttons and ribbon, too. I started with a piece of Papertrey white cardstock, scoring it for the card fold. 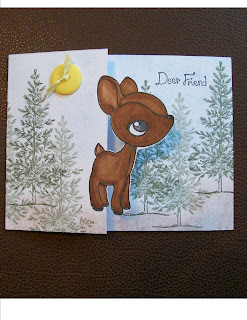 I stamped the deer image from The Greeting Farm's Forest Friends stamp set in the center of the card front. I then colored the deer with my Copic markers and carefully cut away half of the card front. 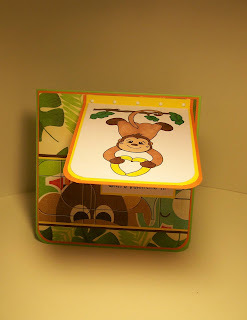 Using my stamp-a-ma-jig for exact placement, I stamped a forest of trees around the the little deer, both on what was left of the front of the card and on the inside of the card, which is now visible, due to having removed half of the front of the card. The tree image is from the Lovely as a Tree Stampin' UP! set. I used Stampin' UP! Always Artichoke ink and stamped, in first, second, and third generation to get different amounts of boldness to the tree color. Using a stipple brush and Stampin' UP! Close to Cocoa ink, I created the ground color. 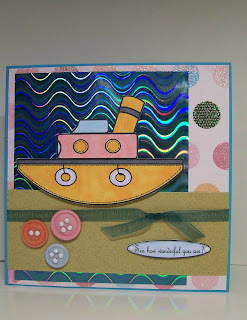 The sky/background was lightly sponged with Stampin' UP! Ballet Blue ink. To fulfill the button/ribbon requirement, I attached a large yellow button with ribbon. The sun is shining our our sweet little deer in the forest. One last touch... I added the sentiment Deer Friend. Now it's your turn! 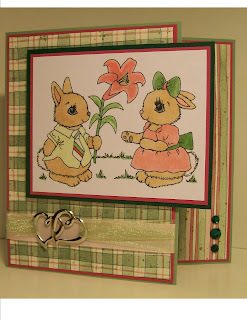 Create a single layer card with ribbon and button(s). 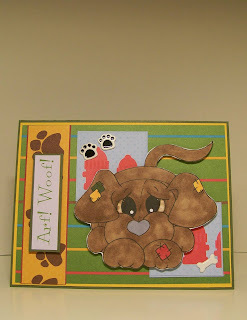 Go to the Crafty Ho's Challenge Blog and share your creation. We're anxious to see what you come up with. I decided to make a card for Aly's Sunday Challenge today. I love seeing a cardinal in the snow. The stark contrast of the gorgeous male bird (bright red) against the white snow is beautiful. 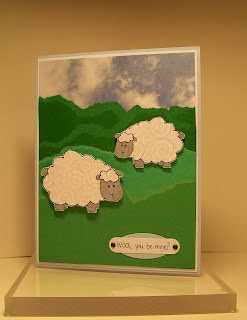 I thought I'd try to recreate that scene in a card for the Sizzix swap hosted by Roxane. 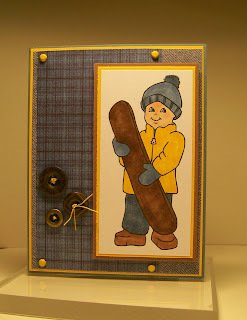 As you probaly recognize, the snowy scene is created with a Top Note die, sold by Stampin' UP! What you may not be able to see in the picture is the amazing shimmer on the Top Note portion of the card. I took a small empty spray bottle and filled it halfway with rubbing alcohol. I then added just a little bit of the Stampin' UP! shimmer paint to the bottle and mixed it in (by shaking vigorously). I sprayed the Top Note. I was a tad bit worried when the paper curled up upon being sprayed, but when it dried, it flattened back out. I love the snowy shimmer. THANK YOU, Carol, for telling me how to do this!!! 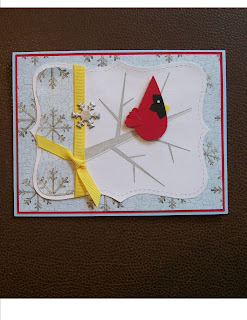 The cardinal is made completely with Stampin' UP! punches. There's half of a large heart for the body (red), two small hearts for the tail feathers (red), one small heart for the beak (yellow), and part of a small flower for the patch around the eye (black). The eye was painted on with Moonlight Smooch. Now, if you'll excuse me, I think I might go bird watching! 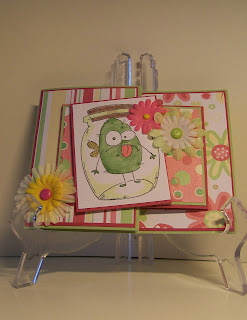 If you are here for the SEW MANY CARDS Release Party and Blog Hop, click here! I hope you have arrived here from Diane's blog. If not, the entire blog hop is listed in order below. Be sure to go to the beginning so you won't miss a thing. This Blog Hop is a celebration of the Design Team and all of you who create with Inktegrity! All of these images that you see on our blogs were created by request of each member. It has been my privilege to serve on the Inktegrity Design Team these past four months. I value the experience and the relationships developed! Thank you, Joni!!! At each blog along the hop, there is a letter for you to collect - no need to unscramble as it is spelled out for you. Simply email the phrase to jonjinko@hotmail.com with the phrase in the subject line and she will email the freebie image to you. In addition, be sure to leave a comment on the Inktegrity blog (the last on this hop) so that you are eligible to win your choice of 5 of these images!!! Since I live in northern Illinois where we have a lot of snow and not a single tropical beach, you might wonder why I chose a flamingo for my image. Quite simply, I chose a flamingo because I love my daughter. One of my daughter's beloved possessions is a pink plastic flamingo named Rico. He holds many precious memories for her. Hmmmmmmmmm... 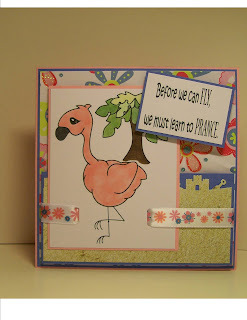 I wonder who will be getting Rico the Flamingo cards??? 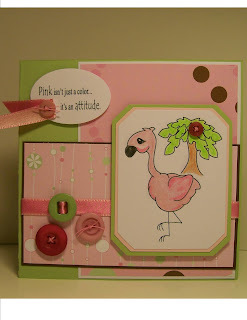 I created two cards for today's Blog Hop since the Rico the Flamingo image comes with two sentiments and I couldn't choose just one of them. Pink isn't just a color... it's an attitude. Before we can FLY, we must learn to PRANCE. You probably noticed the varying sizes of the Rico images. I think that is the single most exciting thing about digital images. You can make them any size you want to! You can also flip them. They are so versatile. Now you can continue on to Joni's blog to see another special image. Thank you so much for coming by! 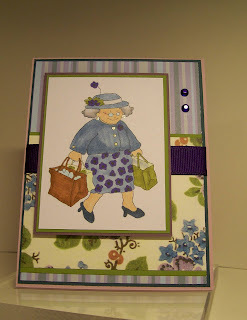 Sew Many Cards NEW RELEASE PARTY BLOG HOP!!! This is a blog hop! If you arrived here from Jeri's blog, you are exactly where you ought to be. However, if you are here and didn't start at the beginning, you will want to do so because there are lots of incredible new images to see. The design team has some fun things to show you along the way. And since no Blog Hop is complete without prizes... THERE WILL BE PRIZES!!! Be sure to leave comments on each blog along the way. All of the winners will be announced on Friday, March 5. Sew Many Cards is proud to have two sponsors this month: Simon Says and Soft Pencil. Simon Says Stamps is generously donating a $10 gift certificate to one lucky blog hopper! Elizabeth Pujalka, the owner of Soft Pencil has generously donated a $25 voucher to the Soft Pencil Shop. 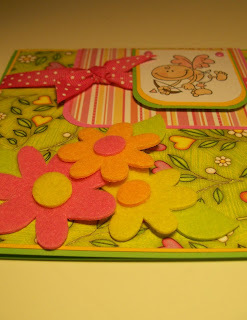 If you should run into difficulties along the way in this Blog Hop, you can always go back to the Sew Many Cards Challenge Blog where there is a list of all of the blogs along the way. 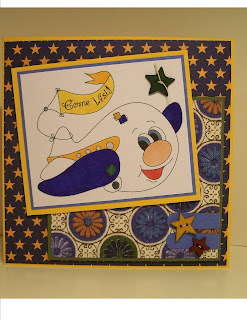 Now, let's board the Airplane (since that's the Sew Many Cards New Release image that I'm showcasing)! The airplane image is adorable, with its friendly face and the fun banner. There are actually three options for this image. 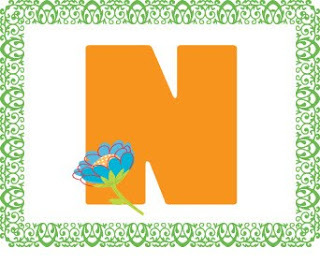 In one, the banner is blank so you can use your own creativity with it. There is also one that reads Miss You, in addition to the one I used that reads Come Visit. My image was colored with Copic markers. I used some starry designer paper, Stampin' UP! cardstock (Ballet Blue, Old Olive, and Summer Sun) and three coordinating star buttons for embellishments. Okay, it looks like you are comfortably seated and your carry-on is stowed properly. I think you're ready for take-off... have a GREAT flight! You will soon be landing at Kim G's blog. Each month Sew Many Cards has a monthly sponsor. The sponsor for February is Wags and Whiskers. 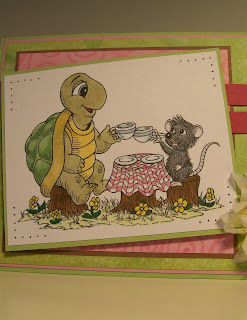 Wags and Whiskers provides adorable rubber stamps for any stamping enthusiast. measures 2.8" H X 3.5" W, which is a wonderful size to work with. 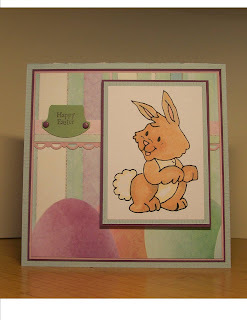 It colors beautifully and is a very sweet image suitable for springtime and especially Easter. The NEW RELEASE is available on March 1 and includes some WONDERFUL St Patrick's Day, Easter, and other images!!! Isn't this a gorgeous image? What an adorable artist he is! I love this image. When I think of St. Patrick's Day, I think of the traditional top hat. 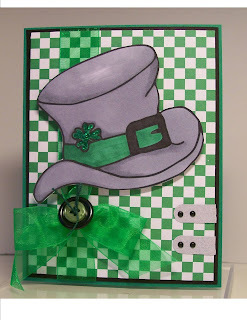 This one is complete with a fun shamrock, too. Perfect! Isn't this an adorable bunny? What a precious face he has! He makes me smile!!! I decided to try something different with this card. 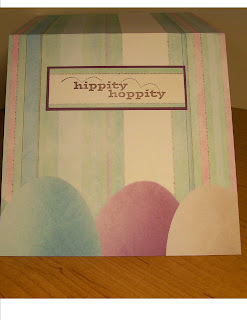 I used a double-sided designer paper for my card base instead of Stampin' UP! cardstock which is my norm. I think the inside of the card is fun, too. What do you think? Sunshine Monday - Let the Show Begin! Please Note: I have two posts today - this Sunshine Monday one and the next one which features some Squigglefly Challenges. 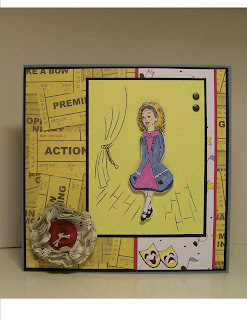 For today's Sunshine Monday creation, I used the Sunshine and Giggles Shannon and the Dance image. Having studied theatre in college, this image reminds me of the theatrical stage, so I teamed it with fun theatre-themed papers and used some artsy features, too. I wanted to draw attention to Shannon so I printed her on white cardstock and colored her with my Copic markers. I then carefully cut her out and popped her up off of the image that I printed in the same size on yellow cardstock. While it isn't noticeable in the picture, on the yellow cardstock image, I completely colored Shannon a dark gray color, When you look at the card at an angle it gives the colored image of Shannon a soft shadow. This is something I recently learned to do. In the past, when I popped part of an image up off of the rest, I always colored the bottom image the same way as the popped image. This was much easier and very appropriate in this case. This card takes me back to my college days... I'd like to say "Break a Leg" but I'm afraid some might not understand that theatrical tradition, so instead I'll say Let the show begin! If you missed it, there's still time to participate in the two challenges going on. You have until this coming Saturday to post your card to be entered in the drawing for wonderful PRIZES!! One of the challenges is a sketch challenge and the other one is a color challenge. Both challenges require participants to use Squigglefly images, but if you don't have one, there's a freebie at the Squigglefly store. You can find all the details for both challenges on the Squigglefly SNR site. 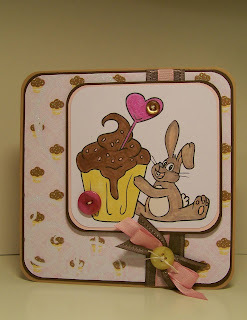 For my COLOR CHALLENGE card I used the Cupcake Bunny image, coloring it in the challenge colors of pink, yellow, and brown. 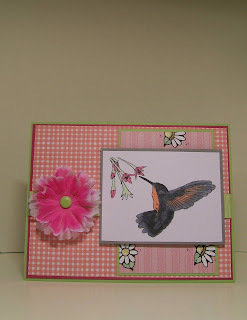 For my SKETCH CHALLENGE card I used the freebie hummingbird image that is found in the Squigglefly store for my card. This is an exciting day! It is the DEBUT of a new Challenge Blog... the Crafty Ho's Challenge Blog. 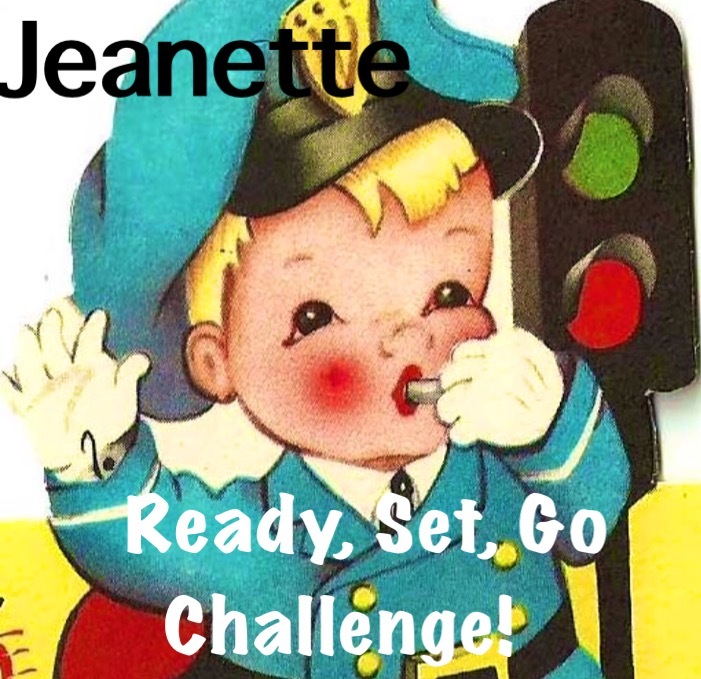 This Challenge Blog was created by a few of my online friends and they invited me to be a part of the fun. I think you're going to love our first challenge. ANYTHING TO DO WITH SPRING! I am soooooooo ready for winter (and all the snow, ice, and muck) to be gone and for the warmer temperatures, sunshine, and an occasional rainshower to begin. But for now, I'll have to just think Spring in my crafting, because old man winter is still here for a while longer. I recently discovered another INCREDIBLE digital stamp company. Karen's Doodles has been around for a while; I just hadn't found them yet! Wow!!! Their images are amazing! For my spring-like card, I chose Karen's Doodles Time for Tea image. Isn't it precious?!?!? If you haven't already done so, be sure to go to the Challenge Blog and check out all the cards created by the Challenge Design Team. Then get out your spring papers, images, inks, embellishments, etc. 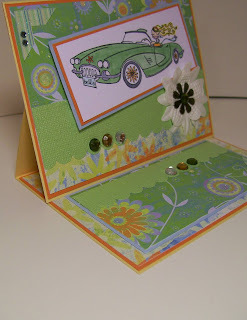 and chase away the winter blahs by creating a Spring-like card of your own. Do you ever do things a bit differently than the norm? I do! In fact, I do that quite often when it comes to card-making. Take this card, for instance. 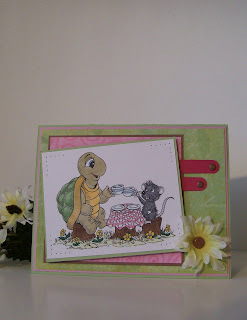 I am in Audrey's Let's Go Shopping swap and I've seen some incredibly beautiful sneak peeks of some of the cards. Shoes, gorgeous shoppers, shopping bags, and so much more, each one just as delightful as the one before. The sentiment inside the card reads It was on SALE. What woman doesn't love a good bargain? Have fun today... and hope you get to do a little shopping! Welcome to this week's Sew Many Cards Challenge! Inktegrity is our sponsor for this week's challenge. Joni, the owner of Inktegrity, is generously giving a $10 gift certificate to the winner of this week's challenge. 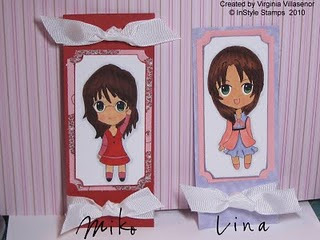 Crafters are permitted to flip the sketch, mirror it, or slightly alter it, but are encouraged to keep their creations as close to the original sketch as possible. 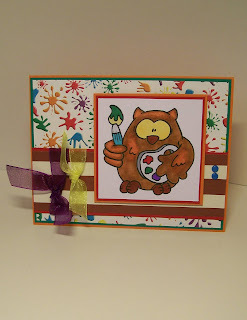 I used the Sew Many Cards Hershey image for my challenge card. This puppy is too cute. Don't you just love his face? I also created a card with Inktegrity's A Little Tug image. This card is not for the challenge, but rather to showcase one of the fun images that Inktegrity has. It was fun to put together a variety of textures for this card - the slick prismatic paper, the sparkling glitter dot paper, and the rough sandpaper. The school bell is ringing... time to get to class! And it looks like Brett is ready! 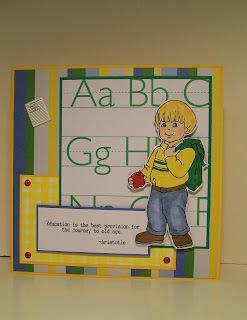 He has an apple for the teacher and a backpack on his shoulder. Isn't Brett adorable? He's a KLM digital image called Back to School Brett. The sentiment is included with your purchase of this digital image, so it's a fantastic deal at only $2.25. I see a lot of possibilities with this image. Oh my... if you haven't been to InStyle stamps lately, you need to check this out! It's a FREEBIE Giveaway!!! But hurry, the offer ends on Sunday, February 21. All you have to do to receive your choice of either the Miko or Lina image is post the information about the giveaway on your blog and then go to the InStyle blog and post a comment with a link to your blog and letting them know which image you want. How very generous of them!!! I'm so excited!!! This is a card I hope I never have to send to anyone... since it's a get well type of card. However, I love this cute image. That bug in the jar is just too much fun! The sentiment inside this joy-fold card reads "Heard you caught a bug"
I created this card for Leslie's Anna Wight swap on SCS. This Whipper Snapper image appropriately named Caught a Bug was designed by Anna Wight. Have you heard about Delia? Delia is a young girl (10 years old) who is undergoing her second round of chemo to treat the leukemia that has invaded her body. She loves art, photography, and she really loves owls! Dustin Pike, the awesome illustrator and creator of wonderful digital images, has generously created a set of three owl images to encourage crafters to create cards. Let's shower Delia and bring some happiness her way. I loved all three owl images (one shows an owl in bed with a thermometer in its mouth and another shows an owl holding a camera), but I went with the artsy owl. I had some wonderful paint-splattered designer paper and I thought it was the perfect backdrop for this cute little owl. This card will go in the mail today. I hope this little owl flies quickly to Delia! Won't you join the many crafters who are sending cards to Delia? I know it will mean a lot to her. NOTE: I have three posts today... you won't want to miss any of them so keep scrolling along! This post - features an Inktegrity new release. This image is so fun and full of potential for any paper-crafter. After sizing my image, I colored it to match the designer papers I had selected. I decided to create a print for the little crafter's dress by adding dots of ink from my Prisma markers randomly on the yellow background. Another option would have been to paper-piece her dress (as some of the other design team members did), but I wanted to try something a little bit different. For my embellishments, I used two layers of organdy ribbon tied together - orange and yellow. I also had an adorable yellow pencil button that I added to the sentiment. Be sure to check out the other design team members' blogs (the links are in my sidebar) to see what they did with this cute new Inktegrity image. Then go to the Inktegrity store and purchase the image so you can start creating yourself. My time on the Inktegrity design team is nearly over. Joni is in the process of taking applications for her new Spring Design Team, which will have the awesome opportunity of working with her (she's so much fun!) and creating with her new images for the Spring term. If you've ever thought you'd like to serve on a design team, I highly recommend applying for the Inktegrity team. You can get all the details on her blog. It's time for the Squigglefly Monday Challenge. This week Maria is the hostess. She chose an ANIMAL KINGDOM theme with the instructions to include a Squigglefly animal somewhere on our creations. Let me introduce you to Sherman! I printed my sheep on swirly white designer paper. I then adhered the paper to white cardstock before cutting out the sheep so they would have some stability to them and make it easier to pop them up off the grassy hills I created for them to graze on. One of the things I really like about digital images is the fact that you can resize them and flip them. The two sheep on my card are the same image, but one faces left while the other one faces right. I also made one of them smaller than the other one to help create the illusion of depth on my card. The hills are actually four different pieces of green cardstock that I tore to give a textured uneven layering. I placed the grassy layers on top of a piece of cloudy sky designer paper. The sentiment was punched out and placed on the card with two teeny tiny black brads. 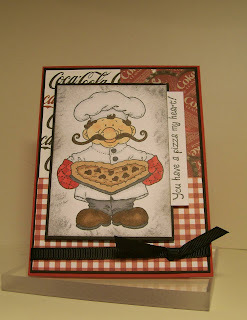 Maria (the hostess for this week's challenge) is offering a prize over on her blog. Be sure to check it out! There's a Squigglefly chat group on SNR Card Universe. It's a lot of fun! Mel McCarthy is the February Guest Designer for Squigglefly. WOW!!! She's incredible! Be sure to check out the Squigglefly blog n Fridays to see what she's created. I used my favorite Sunshine and Giggles image for this week's Sunshine Monday contribution. I love this adorable little girl. She's precious with her beautiful smile, her fashionable outfit, and her cute hair. She's extending her arms with a special gift, too. She makes me happy! I layered some birthday balloons paper (shhhhhhhh... don't tell anyone, but this is actually wrapping paper) and some bright papers that coordinated nicely with it. 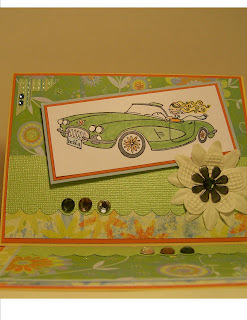 I kept the embellishments to a minimum so that the image could be the focal point of the card. This is the day that is most commonly associated with romantic love. We express our love and adoration for the significant others in our lives through gift-giving, fancy dinners, and sweet sentiments. I feel blessed to have a wonderful husband and I assure you that I will express my love to him today. However, in this blog post, I would like to express my love and appreciation to another group of people who mean so much to me. Less than a year ago I hosted my first card swap on Splitcoast Stampers. It soon became evident that the women who joined that first Forest Swap were bonding quite well. As we gathered in the forest each day, we shared our lives – our joys, our struggles, our goals, our creativity, our laughter, our tears – and we became more than swappers, we became Forest Friends. As we neared the end of that swap, I opened my second swap and many of the same group of women joined again. 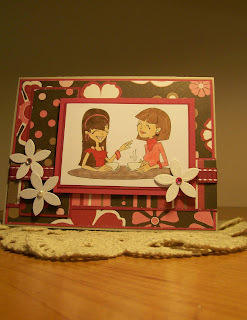 I don’t think it is so much for the cards we make and swap as it is for the friendship that continues to grow stronger. We are now on our third forest swap and are already planning the next one. This isn’t about me... I’m just the Ranger. This is about the women whose lives are woven together through the camaraderie shared in the Forest. And it isn't just a small exclusive group. I've noticed again and again how a newcomer will join the swap and soon is being welcomed with open arms. There are no strangers in the forest because each individual quickly becomes a friend. I am so thankful to the Forest Friends for their friendship and on this special day I wanted to dedicate my blog post to all of them. I won’t name names, because I would most certainly unintentionally forget to name someone and I would feel horrible at the risk of hurt feelings. Thank you, my friends! You mean more to me than I can ever communicate! My card today is just one example of how special the Forest Friends are to me. One day I expressed my sadness (okay, maybe it was frustration) that by the time I got to Michael’s they had sold out of the adorable Cupid stamp that I was wanting. Many of the Forest Friends consoled me. Some volunteered to check at their stores to see if they could find the stamp for me. The next day Terry said, “I think I have the stamp you want.” I squealed in delight. She posted a picture on the thread and sure enough… it was the cupid I desired. She promptly sent the stamp to me (totally at her own expense). Isn’t that so so sweet?!?!? THANK YOU, TERRY!!! Forest Friends, I’ve told you this before, but it bears repeating…. I think – no, I know – that Forest Friends are the best friends! Thank you for the joy that you bring to my life! 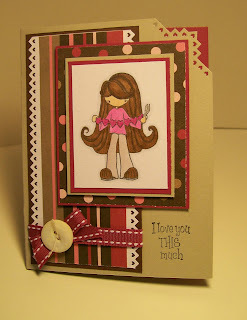 Welcome to the LOVE ME DO Blog Hop sponsored by Stamping Bella! If you've just happened upon my blog, you can CLICK HERE to start from the beginning at Bloggabella. 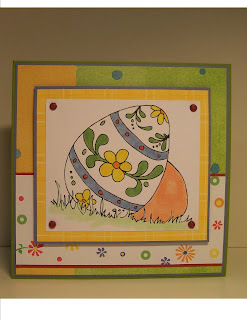 I chose to use the Stamping Bella APTEE tude stamp for my entry. It looks like she cut out a string of hearts to say I love you this much! heart border and corner punches on this card. I love the way they add teeny tiny ♥♥♥ to the card. I'll keep this short, since I know everyone is wanting to hop along. How about a prize? In addition to the fabulous eye candy, we have decided to hide a prize somewhere along the hop! One pre-selected blogger will draw a random winner from the comments on her post, and the winner will receive a $25 Gift Voucher to Stamping Bella!!! The fun part is...we're not telling you who it is! So as you hop, make sure you leave comments on every post so you have a chance to win!! We will announce the winner on Friday in the Splitcoast forum. MWAH! Thanks so much for stopping by! 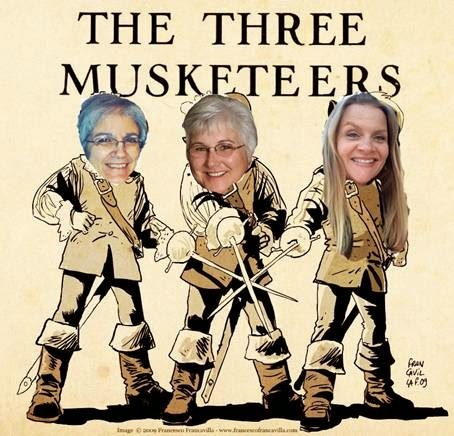 Now it's time to hop on over to Dawn's blog. 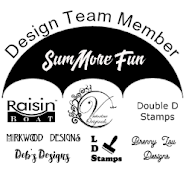 One of the things I love about serving on the Sew Many Cards design team is learning about new-to-me stamp sponsor companies. This week's company is a delightful one - Tellen's Place. I think one of the things I like most about Tellen's Place is the stories they tell about the characters in their stamps. Be sure to go to their website and learn about these sweet images. I colored the youngsters with my Copics in bright colors to match the designer paper. 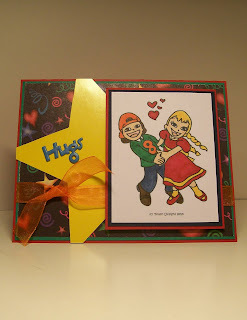 I used a star die cut for a splash of brightness and a Hugs brad and some orange organdy ribbon to embellish the card. With all the snow we've been getting, I thought it was perfect timing to create a card with the KLM Snowborder Boy digital image. He's so cute. Obviously, he's all bundled up, heading out to enjoy some fun sliding down the hill on his snowboard. What better way to spend a beautiful snowy day? I layered some denim paper and a beautiful blue plaid paper, securing the two with some bright yellow brads. I added three antique gold Vintage buttons for embellishments, tying them on with some Vintage yellow cording. Love is in the air - after all, it's almost Valentine's Day - so I decided to create a card using the Inktegrity Mikey the Monkey image. 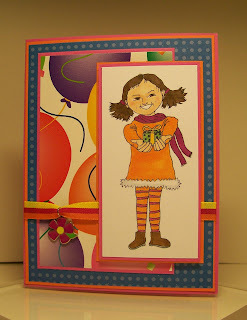 It was so much fun to create this colorful card. Happy First Birthday to The Pink Elephant! I am so excited to be part of the Birthday Celebration at The Pink Elephant! 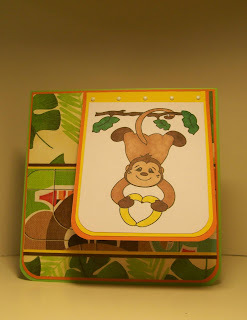 I was one of many many crafters who signed up to be part of The Pink Elephant Birthday Blog Hop. 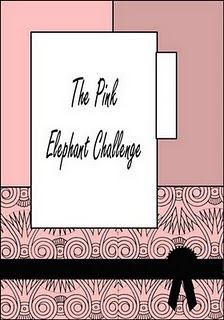 We were instructed to look back over The Pink Elephant challenges of the past year and to create a card using our favorite one. My card features the new High Hopes Luigi image and sentiment, just in time for Valentines Day. I chose the sketch in Challenge #47 to create my Luigi card. It makes me think of a pizzaria with a checkered tablecloth and Coca-Cola decor. I'd love for you to leave a comment here on my blog and then head over to Shana's blog to see what she's created for the birthday celebration of The Pink Elephant. PLEASE NOTE: I have two blog posts today, this one and the SQUIGGLEFLY CHALLENGE one that follows it. Be sure to check them both out! It's Monday - SUNSHINE MONDAY! featuring the Sunshine and Giggles Cody and Quest image. I wanted to try something different this week, something I had never done before (one of my annual goals this year is to try new things in my paper-crafting), soooooo I decided to print the image on designer paper. I had a scrap of really fun paper. It was like swirling tans with a hint of a woodgrain feel to it. I thought it was a good piece with which to start this new venture. I also decided to change the color of the image, since I learned how to do that on the Wednesday Technique Spotlight on the Sunshine and Giggles blog (Thank you Tracy and Janice!) It was so easy to do and I like how aged it looks when printed in brown ink on the designer paper. 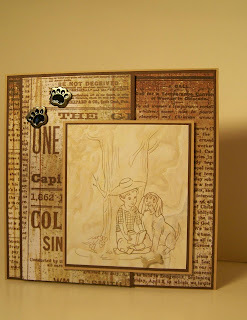 I used distressed papers from my scrap file for the background and a few dog-related brads for embellishment. It doesn't show much in the picture, but I popped up both the verticle strip of paper and the image for some dimension. It's a simple card with a masculine feel. It's Monday - time for a Squigglefly Challenge! Today's challenge is one that breaks the rules... but I forgot to break one of the rules in my creation. Drats! 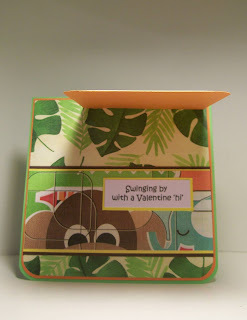 The Challenge, should you decide to accept it, is to create a SHAPED Valentine card with non-traditional colors. Oops! I forgot to make my card into a unique shape, but I did use the non-traditional colors of plum and yellow. 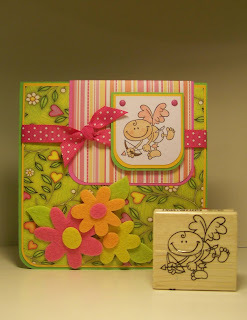 My card features the adorable Rag Doll Teddy Squigglefly image. 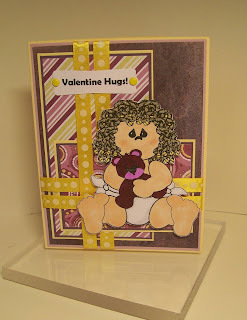 I chose layers of designer papers backed in cardstock and an inter-woven ribbon embellishment along with a Valentine Hugs sentiment attached with brads. For six months now, the Kit Cats (which includes five of my online friends and myself) have enjoyed our monthly Kit Cat blog posting. 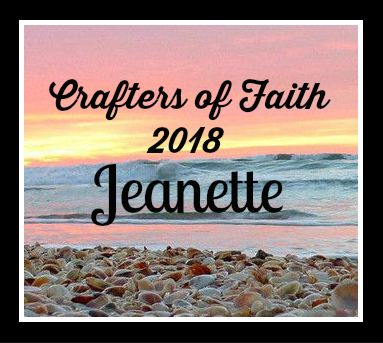 The designated hostess sends out identical kits to each of the Kit Cats and we all use those items in the creation that we post on the first Sunday of the month. This month's hostess is Susan. In our instructions, she wrote I don't know about you, but I am so tired of winter! Who knew, when she sent these kits out a couple of weeks ago, that we would be posting in one of the worst snowstorms our nation's capital has ever seen. To warm our spirits and help us dream of warmer days filled with sunshine and outdoor activities, Susan sent us Cruisabella. How fun! She also included two pieces of designer paper, a piece of textured cardstock, and a baggie of goodies such as flowers, rhinestones, fibers, buttons, tassels, and acetate. We were instructed to make a card using a special fold. We could use any or all of the embellishments she sent along. I decided to make an easel card. 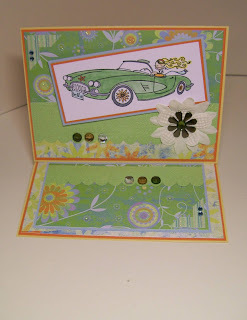 I have admired these in the Splitcoast Stampers gallery and even made a smaller one at a card club hosted by a friend. However, I'd never attempted one on my own. 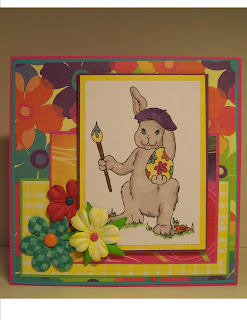 I was surprised at how easy it was to make the easel card base. This has been a fun project and I feel warmer already. I wish I had a convertible to take for a spin, but since I don't, I guess I'll just cruise on over to the other Kit Cat blogs to see if they've posted their Kit Cat cards yet. Come on and hop in... you can ride along! Women come in all shapes, sizes, personalities, etc. Some are beautiful; others not so much so. Some are funny; others are serious. While we may all be able to think of a woman who absolutely drives us crazy, most of us can also say we have some incredible women in our lives - mothers, sisters, friends, co-workers, etc. It was a man's world. Then Eve arrived. Today's blog post is ALL ABOUT WOMEN! 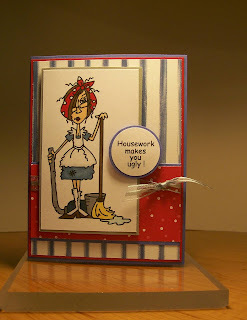 It features a couple of cards I made for Viv's All About Women card swap as well as some famous quotes about women. I hope you will celebrate the Woman you are today! Hugs!!! Whatever women do, they must do twice as well as men to be thought half as good? Luckily, this is not difficult.